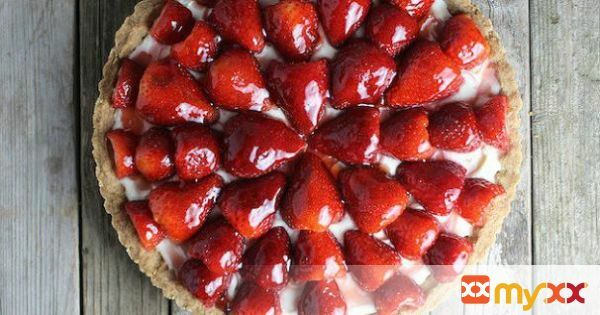 Beautiful & luscious Strawberry Mascarpone Tart. Shortbread crust w/velvety mascarpone cheese mixture, topped w/glazed strawberries. Perfect strawberries & cream combo!